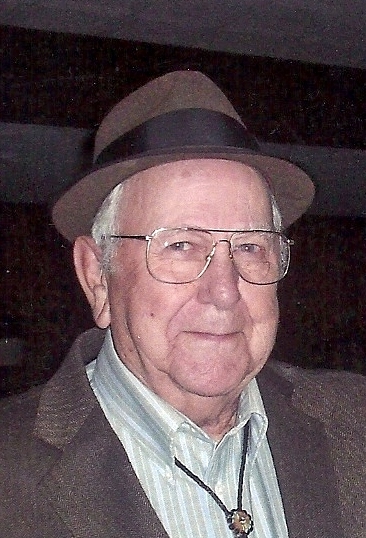 Obituary for Donald N. Pope | Feiser Funeral Home, Inc.
Donald N. Pope, 92, died Monday, January 14, 2019, at his residence. He was the husband of the late Elda P. (Griffin) Pope, his wife of 70 years, who died December 4, 2015. Donald was born November 22, 1926, in Winchester, VA, the son of the late Harold S. and Ada D. (Newcome) Pope. Donald is survived by five daughters, Deitra Cover of Thomasville, Shirley Bauerline of McSherrystown, Judy Pope of Bensalem, Sonia Myers and her husband Brian of Spring Grove, and Roberta Storms of New Oxford, three sons, Harry Pope of Dover, Scott Pope of Hanover, and William Pope of New Oxford, 22 grandchildren 38 great grandchildren, ten great great grandchildren, a brother, Grant Pope of New Milford, CT, and a sister, Nancy Warner of Spring Grove.. He was predeceased by a son, Edward H. Pope, Sr, a grandson, Doyle Andrew Gross, and a granddaughter, Lisa Russo. Funeral services will be held on Friday, January 18, 2019 at 11 AM, at the Feiser Funeral Home, Inc, 302 Lincoln Way West, New Oxford. Burial will be in New Oxford Cemetery. A viewing will be held at the funeral home on Friday, from 10 AM until the time of the service. Memories may be shared at www.feiserfuneralhome.com.